“I travelled to Bethlehem in a small cart. Every bump (and there were many) was agony. As I was jolted along, I was racked with pain. The baby’s time was near, you see and the pain was almost unbearable. Later, they would sing songs about a cute donkey carrying me. Nice thought! I don’t think there’s any way you could’ve got me on a donkey. As each contraction cramped every muscle in my torso, I huddled up like an animal, and prayed for it to be over. I could see Joseph, watching me as he walked alongside. He really didn’t have the first idea what to do. Oh, how I wanted my mother. I yearned for her to be there, holding my hand, telling me everything was alright and would be over soon. When we arrived at Joseph’s uncle’s house, the women folk came and helped me inside. The room was crowded. All Joseph’s male relatives from miles around had come to the house, for shelter and food. The women were busy cooking supper and the men were drinking wine and comparing stories. They all told Joseph how much he resembled his grandfather Matthan and laughed at old stories from years ago.The smell of fish and fresh bread was nauseating. I was so tired and so uncomfortable. Joseph knew I was suffering and asked if there was somewhere quiet that I could go. There was no chance that we would get a place in the inn, they had filled up days ago. Somewhere quiet, in a little house packed with relatives? There were some fraught discussions, and then his aunt suggested that going down, to the lower floor, with the animals, might be best. It wasn’t terribly clean, but it would be quiet and private and at least it wouldn’t smell of fish! Joseph helped me go down, and a couple of the women came too. One of them examined me and told me the baby was a long way off yet, first babies always take their time in coming. This was not great news but I felt better having her there. I felt that she knew what was happening, had seen this before and it took some of the fear away. I was frightened you see. I was horribly afraid that somehow I would damage my baby. My baby and God’s. I knew he was going to be special, I knew I had a great task ahead of me but it all seemed to be going horribly wrong. I trusted that God was still in control but He felt so far away. Could the baby not have been born in a palace, surrounded by comfort? Would these poor beginnings really be part of a plan? Could they really make this king accessible to the people? I had no idea. I was a mere girl, I had no education and my memory of scriptures was often fuzzy. To be honest, at this present moment, I didn’t even care. I just wanted this baby OUT! Special or not, my body was tired of carrying him, tired of being stretched and pushed, of fitting something inside that was now too big to be there. I needed this baby to be born and I was too exhausted to wait much longer. How I longed for sleep. The pain in my back was terrible. Great waves of cramp that seared through my body, making me oblivious to everything else. I was vaguely aware that someone was sweeping the floor and moving the animals to a far corner. They had laid out a mattress and blankets for me to rest on but I couldn’t lie still for long. I felt better standing, rocking in time with the pain, trying to remember to breathe, in out, in out. Someone offered me water but I couldn’t drink. I wasn’t thirsty, I just wanted this baby to be born. I could see Joseph with his big anxious eyes watching me. He didn’t know what to do. Someone suggested he should go into the house to eat and I nodded in agreement. There was nothing he could do and the poor man must have been tired too. He had endured such an emotional time lately. First there was his fear and anger when he first heard about the baby (now that was a difficult conversation!) Then he had to endure the smirks of his friends when the pregnancy became public knowledge. He never complained, but I know he felt embarrassed, wished that God could have chosen a different girl. The pain eventually became almost constant. Joseph had eaten and rested, but I continued to sway in discomfort in the little cave of animals. Every so often, one of them would poop, and although the women with me cleaned it up quickly, the smell pervaded the atmosphere. I could hear the musicians gathering outside, someone must have told them the birth would be soon. That gave me hope, maybe soon the baby would arrive. Then at last, in a final searing pain, the baby was born. I looked down at his blue waxy body as he wriggled on the blanket and I knew that he was mine. One of the women wiped him down with oil and salt and I held him in my arms while they looked for the swaddling bands in our luggage. How beautiful he was. His indigo eyes would soon turn brown and they gazed at me trustingly. I loved him with my whole being. Outside, there was the sound of music and singing as the musicians heralded the arrival of a boy. Joseph came and took him from me. He held the tiny baby in his giant carpenter’s hands, hands that spoke of hard work and safety. Then the baby started to mouth for food and Joseph passed him back. The women showed me how to feed him, but he was soon asleep. Then we gently wrapped him in the swaddling bands, securing his tiny limbs so he would feel snug and secure and his bones would grow straight and true. He was so beautiful. It was hard to remember what the angel had told me, that this was God’s son too. I began to wonder if I had imagined it, if it were all a dream. This baby did not look like God, he was a baby. My baby. I too needed to sleep. Joseph fetched fresh hay and put it in the animal’s manger, covering it with a soft blanket. I didn’t want him to put the baby there, I wanted to keep him on the bed next to me, but Joseph was worried I might roll on him in my sleep. Then he laid the baby down and told me to sleep. He looked deep into my eyes and brushed my collar bone lightly with his fingers. “Soon you’ll be truly mine,” he whispered. I knew what he meant and felt myself blush. I was so tired, I thought I would sleep for a week. I actually slept for about two hours! I was abruptly woken by loud voices, and a draught of cold air as the door was flung open. There, standing uncertainly in the doorway was a group of youths. Their clothes were dirty and exuded the strong smell of sheep. Joseph was with them. “Mary? Are you awake?” he asked. It would be hard not to be with all the noise from outside. I nodded and they trouped into the room. They seemed so big and clumsy in such a small space, I was worried they might hurt the baby. But they didn’t try to touch him, they just stared for a while and then one of them knelt and they all followed suit, kneeling before the manger, staring at the baby. Then they told me their story, how they had been in the fields and an angel had appeared. They had thought they were going to die, to be struck down right where they were. The angel had reassured them, told them that a saviour had been born, the Christ who we’ve all been waiting for. They would find him lying in a manger. Then suddenly there were lots of angels, all praising God and saying he was pleased with people on earth. After the angels had gone, finding they were still alive after all, the shepherds decided to come at once and see for themselves. It was as though they couldn’t quite believe what they had seen and heard, they needed to actually see the baby with their own eyes. I felt so humbled, and so cared for. God had heard my thoughts, He was reassuring me. I felt tears prickle my eyes, and blinked them back, tried to look serene. But I was shaken by how much He cared. It was all His plan, not some terrible mistake. We were meant to be here. He even knew about the manger! I listened and smiled and treasured my thoughts. The shepherds left as noisily as they came. I could hear them in the streets, shouting their news, telling everyone what had happened. They were so excited! A few people shouted back, telling them to be quiet – I guess not everyone was pleased to hear the news, they had other things they wanted to do (like sleep). Continued tomorrow. Why not sign up to follow my blog so you don’t miss it? Mary’s Story : Reposted, because it’s Christmas.. I travelled to Bethlehem in a small cart. Every bump (and there were many) was agony. As I was jolted along, I was racked with pain. The baby’s time was near, you see and the pain was almost unbearable. Later, they would sing songs about a cute donkey carrying me. Nice thought! I don’t think there’s any way you could have got me on a donkey. As each contraction cramped every muscle in my torso, I huddled up like an animal and prayed for it to be over. When we arrived at Joseph’s uncle’s house, the women folk came and helped me inside. The room was crowded. All Joseph’s male relatives from miles around had come to the house for shelter and food. The women were busy cooking supper and the men were drinking wine and comparing stories. They all told Joseph how much he resembled his grandfather Matthan and laughed at old stories from years ago.The smell of fish and fresh bread was nauseating. I was so tired and so uncomfortable. Joseph knew I was suffering and asked if there was somewhere quiet that I could go. There was no chance that we would get a place in the inn, they had filled up days ago. Somewhere quiet, in a little house packed with relatives? There were some fraught discussions and then his aunt suggested that the animal cave might be best. It wasn’t terribly clean, but it would be quiet and private and at least it wouldn’t smell of fish! The pain in my back was terrible. Great waves of cramp that seared through my body, making me oblivious to everything else. I was vaguely aware that someone was sweeping the floor and moving the animals to a far corner. They had laid out a mattress and blankets for me to rest on but I couldn’t lie still for long. I felt better standing, rocking in time with the pain, trying to remember to breathe, in out, in out. Some one offered me water but I couldn’t drink. I wasn’t thirsty, I just wanted this baby to be born. We had been travelling for five days, with hardly any rest and the last couple of days had been more chilly. I know he felt the burden of caring for me, watching for bandits on the roads and wondering if we would make it to Bethlehem in time. If the baby had come early I don’t know what he’d have done – left me with strangers on the road somewhere I guess and come to register on his own. One didn’t mess with a Roman decree….. The pain eventually became almost constant. Joseph had eaten and rested but I continued to sway in discomfort in the little cave of animals. Every so often one of them would poop and although the women with me cleaned it up quickly the smell pervaded the atmosphere. I could hear the musicians gathering outside, someone must have told them the birth would be soon. That gave me hope, maybe soon the baby would arrive. I too needed to sleep. 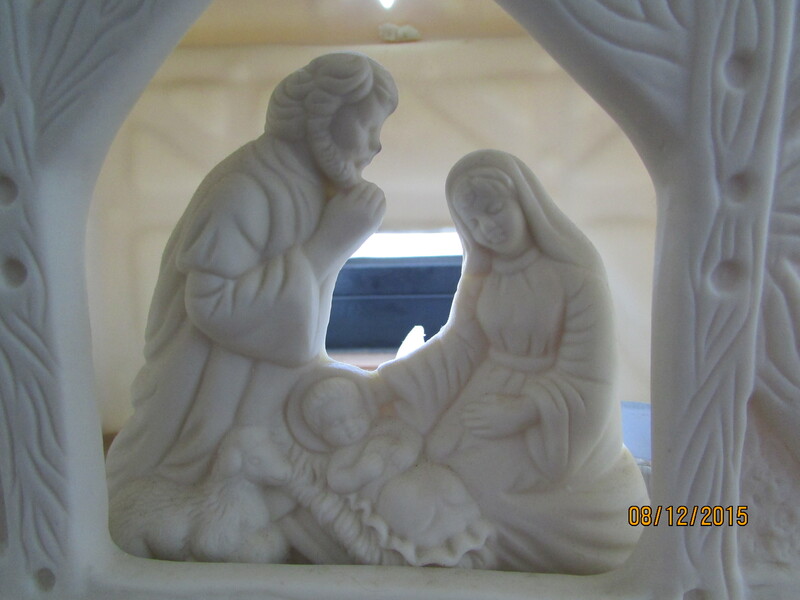 Joseph fetched fresh hay and put it in the animal’s manger, covering it with a soft blanket. I didn’t want him to put the baby there, I wanted to keep him on the bed next to me, but Joseph was worried I might roll on him in my sleep. Then he laid the baby down and told me to sleep. He looked deep into my eyes and brushed my collar bone lightly with his fingers. “Soon you’ll be truly mine,” he whispered. I knew what he meant and felt myself blush. I actually slept for about two hours! I was abruptly woken by loud voices and a draft of cold air as the door was flung open. There, standing uncertainly in the doorway was a group of youths. Their clothes were dirty and exuded the strong smell of sheep. Joseph was with them. I felt so humbled and so cared for. God had heard my thoughts, He was reassuring me. It was all His plan, not some terrible mistake. We were meant to be here. He even knew about the manger! I listened and smiled and treasured my thoughts. The shepherds left as noisily as they came. I could hear them in the streets, shouting their news, telling everyone what had happened. They were so excited. They had of course woken the baby who was now crying with a thin wail that jarred my nerves and was impossible to ignore. So I fed him some more and then we both slept. A tired, contented sleep borne from exhaustion and wonder. After eight days, Joseph came and circumcised the baby. How he wailed! It felt cruel, though I knew it was the right thing to do, even in this strange place we must obey the Jewish laws. We also formally gave him the name Yeshua, the name we had been told to give him by the angel all those months ago. I wondered if Joseph minded, people would know it wasn’t a family name. I also had no one called Yeshua in my own family, though I did know a boy from my childhood with the name. After forty days, we had to travel to Jerusalem, to pay for redemption at the temple. As Joseph was from the tribe of Judah, we had to pay five shekels of silver. We couldn’t afford a lamb, so bought two pigeons to sacrifice. It was nice to leave Bethlehem and to have some exercise at last, to see people and to take my baby into the world. I felt quite excited as I approached the temple, our holy place. I didn’t recognise anyone, but everyone could see we had a new baby and lots of the women came over to see him. I felt so happy! We walked through the Beautiful Gate and up to the Gate of Nicanor. What does that mean? I know that he is God’s own son and that he is part of the plan to establish God’s reign on earth. Will he be opposed? Surely everyone will accept God’s annointed one, we have waited so long for him. Then he said something that made me afraid. His face was very near, I could smell his breath. He said that a sword would pierce my soul. It made me very frightened, I practically snatched Yeshua away from him! I want my son to grow strong and be happy, will I suffer for this? I knew I was tired, not getting enough sleep and it was hard to care for a new baby in a strange place without my mother to help me. I felt that I did not want to hear the man’s words, even if they were true. The man left us and almost at once an old lady approached. She was ancient, her white hair showed under her mitpahath and she leant heavily on a stick. What I noticed most were her eyes. They almost sparkled! You could tell at once that she was a holy woman and also one who loved to laugh. 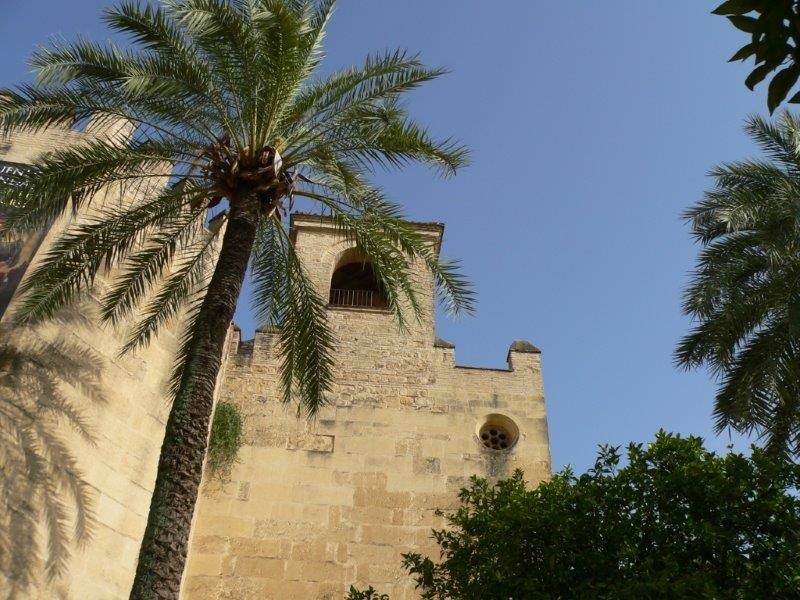 As soon as she saw Yeshua she started to pray loudly, thanking God and telling people nearby that if they wanted Jerusalem to be redeemed, they should look to the baby. I was glad that no Romans were allowed in the temple, we would have been in trouble! We finished making the offerings and then went back to Bethlehem. I didn’t know whether to tell Joseph what the old man told me. I kept thinking about his words, worrying about what they might mean. I was so tired, I decided I would wait and maybe tell him later. The months passed and we settled into life in Bethlehem. We moved into a little house and Joseph worked on the many building projects that the Romans have introduced. Yeshua continued to thrive. He grew into a sturdy toddler and would walk around the room holding onto the stools and baskets. I loved to feel his solid weight when I carried him on my hip. He started to sleep much better at night and Joseph and I were thinking about having another child. Then everything changed. It was one evening, still quite early but we had filled the lamp with olive oil and lit the linen wick. Joseph put it on a bushel basket, so the room was well lit and we could talk about the day. Suddenly, there was a banging at the door. Joseph went at once and there, in the road, was a group of Persian travellers. They had dismounted from their horses and were peering intently into the house. They told Joseph they had seen a star and had come to worship the king.I was so glad I hadn’t gone to bed yet! We let them into the house and I went to get Yeshua. He was damp from sleep and his tired eyes looked blearily around him. I wondered if he would cry but he seemed fascinated by our strange visitors. They wore their hair in long curls and one had a band of gold on his head. It glinted in the lamp light and I could see Yeshua watching it intently. Their clothes were patterned with birds and flowers. We offered them wine, it was clear they were tired from their journey. I was embarrassed that we only had two stools to offer them, but they didn’t seem to mind and in fact insisted that I should sit on one with Yeshua and they were happy to sit on the rush mat. They didn’t really sit anyway, they wanted to kneel before Yeshua. Then they gave him gifts. They were beautiful to look at. They gave him gold, signifying that he is a king. They gave him frankincense. The strong aroma filled the house and I wondered if Yeshua was to be a priest, even though he is not descended from Levi. They also gave him myrrh. Myrrh is costly but is for embalming a body. It was a strange gift for a baby and I wondered what it meant. They told us their story before they left. In their Persian home, they were magi, watching the stars and foretelling the future. Many months ago, at the time of Yeshua’s birth, they had seen a special star which they knew meant a powerful new king had been born and they determined they would find him and worship him. Unfortunately, following the star caused them to go to Jerusalem first (I always knew that star gazing was a misleading activity!) They went to Herod’s palace and asked where the new king was. This was scary, Herod had shown he was not a king to be trusted and his cruelty was well known. I would not have wanted to visit his palace. However, it sounded as though he had decided to be helpful. He asked the scribes to research the early scriptures and they discovered that the promised king was to be born in Bethlehem. The king told the Easterners and asked them to find the king and then return and tell him the exact location, so that he too could worship. I wondered what would happen next. Would Herod himself come to visit my precious baby or would we be summoned to the palace? This was not a comfortable thought. I also wondered why the palace scribes had not come to visit us. Did they not believe the scriptures that they studied so diligently? Surely if they were truly expecting a redeemer they would also have come? The men left. They planned to sleep in an inn and return to Jerusalem the next day. We could not offer them lodging in our tiny house and they seemed content to leave now they had seen Yeshua. I returned Yeshua to bed and soon after Joseph and I also went to sleep. I had not been asleep for long when Joseph woke me. He shook me awake, then went to light the lamp. I could see his face was tense and instantly turned to check Yeshua was well. He was sleeping soundly. Joseph told me I needed to get up at once, we needed to leave. He said that he had had a dream, like the dream when the angel told him that the baby inside me was God’s son. It was so intense and real that he could not ignore it. He said he had been told we must leave Israel, Yeshua was in danger, Herod planned to kill him. I wondered why I too had not be warned and then I realised – God had told Joseph to take care of me and Yeshua. That was a hard task for a man, to care for a son that was not his own. So God was now telling Joseph alone what we needed to do, underlining his role, establishing him as head of our family. It was a kind act. I began to pack our things but Joseph was hurrying me, telling me to only take what was essential. We were to go to Egypt. Egypt! Could this be right? Was Yeshua not to be king of the Jews? I packed hurriedly and we left that very night. What would the future hold? Would we ever return to our home town? The future was uncertain but I knew that something bigger than us was happening. Whatever happened, God had a plan and no one could alter the course of that. 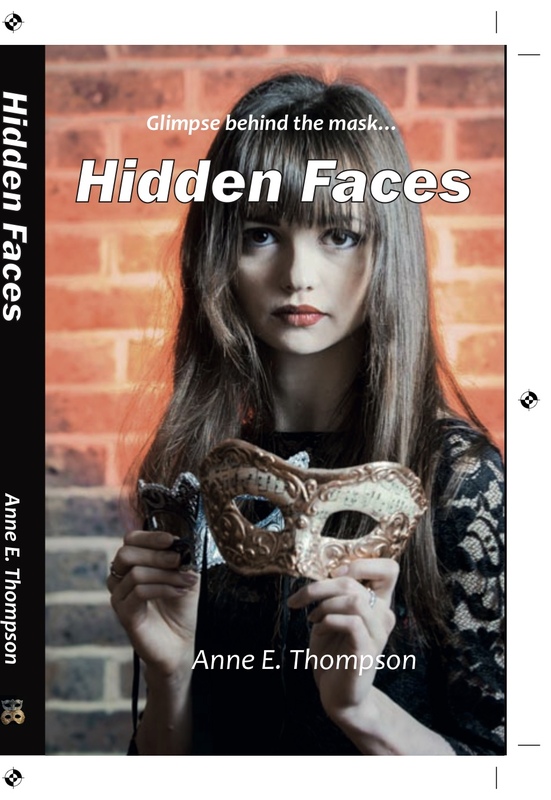 If you enjoyed this, you might enjoy Hidden Faces by Anne E Thompson. An amusing novel, set in an infant school which explores the different faces that teachers wear. They have a public face, worn for the school. This is very different to the face they wear at home or with their friends, but which one is the real face? I am reposting this because it’s Christmas…. I travelled to Bethlehem in a small cart. Every bump (and there were many) was agony. As I was jolted along, I was wracked with pain. The baby’s time was near, you see, and the pain was almost unbearable. Later, they would sing songs about a cute donkey carrying me. Nice thought! I don’t think there’s any way you could have got me on a donkey. As each contraction cramped every muscle in my torso, I huddled up like an animal and prayed for it to be over. I could see Joseph, watching me as he walked alongside. He really didn’t have the first idea what to do. Oh, how I wanted my mother. I yearned for her to be there, holding my hand, telling me everything was alright and would be over soon. When we arrived at Joseph’s uncle’s house, the women folk came and helped me inside. The room was crowded. All Joseph’s male relatives from miles around had come to the house for shelter and food, responding to the summons from the Romans. The women were busy cooking supper and the men were drinking wine and comparing stories. They all told Joseph how much he resembled his grandfather Matthan and laughed at old stories from years ago. The smell of fish and fresh bread was nauseating. I was so tired and so uncomfortable. Joseph knew I was suffering and asked if there was somewhere quiet that I could go. There was no chance that we would get a place in the inn, they had filled up days ago. Somewhere quiet, in a little house packed with relatives? There were some fraught discussions and then his aunt suggested that the animal cave, below the living quarters, might be best. It wasn’t terribly clean, but it would be quiet and private and at least it wouldn’t smell of fish! Joseph helped me go down, and a couple of the women came too. One of them examined me and told me the baby was a long way off yet, first babies always take their time in coming. This was not great news but I felt better having her there. I felt that she knew what was happening, had seen this before and it took some of the fear away. I was frightened you see. I was horribly afraid that somehow I would damage my baby. My baby and God’s. I knew he was going to be special, I knew I had a great task ahead of me but it all seemed to be going horribly wrong. I trusted that God was still in control but He felt so far away. Could the baby not have been born in a palace, surrounded by comfort? Would these poor beginnings really be part of a plan? Could they really make this king accessible to the people? I had no idea. I was a mere girl, I had no education and my memory of scriptures was often fuzzy. To be honest, at this present moment, I didn’t even care. I just wanted this baby OUT! Special or not, my body was tired of carrying him, tired of being stretched and pushed, of fitting something inside that was now too big to be there. I needed this baby to be born and I was too exhausted to wait much longer. How I longed for sleep. The pain in my back was terrible. Great waves of cramp that seared through my body, making me oblivious to everything else. I was vaguely aware that someone was sweeping the floor and moving the animals to a far corner. They had laid out a mattress and blankets for me to rest on but I couldn’t lie still for long. I felt better standing, rocking in time with the pain, trying to remember to breathe, in out, in out. Some one offered me water but I couldn’t drink. I wasn’t thirsty, I just wanted this baby to be born. I could see Joseph with his big anxious eyes watching me. He didn’t know what to do. Someone suggested he should go into the house to eat and I nodded in agreement. There was nothing he could do and the poor man must have been tired too. He had endured such an emotional time lately. First there was his fear and anger when he first heard about the baby (now that was a difficult conversation.) Then he had to endure the smirks of his friends when the pregnancy became public knowledge. He never complained, but I know he felt embarrassed, wished that God could have chosen a different girl. The pain eventually became almost constant. Joseph had eaten and rested but I continued to sway in discomfort in the little cave of animals. Every so often one of them would poop and although the women with me cleaned it up quickly the smell pervaded the atmosphere. I could hear the musicians gathering outside, someone must have told them the birth would be soon. That gave me hope, maybe soon the baby would arrive. Outside, there was the sound of music and singing as the musicians heralded the arrival of a boy. Joseph came and took him from me. He held the tiny baby in his giant carpenter’s hands, hands that spoke of hard work and safety. Then the baby started to mouth for food and Joseph passed him back. The women showed me how to feed him, but he was soon asleep. Then we gently wrapped him in the swaddling bands, securing his tiny limbs so he would feel snug and secure and his bones would grow straight and true. He was so beautiful. It was hard to remember what the angel had told me, that this was God’s son too. I began to wonder if I had imagined it, if it were all a dream. This baby did not look like God, he was a baby. My baby. I was so tired, I thought I would sleep for a week. I actually slept for about two hours. I was abruptly woken by loud voices and a draft of cold air as the door was flung open. There, standing uncertainly in the doorway was a group of youths. Their clothes were dirty and exuded the strong smell of sheep. Joseph was with them. I nodded and they trouped into the room. They seemed so big and clumsy in such a small space, I was worried they might hurt the baby. But they didn’t try to touch him, they just stared for a while and then one of them knelt and they all followed suit, kneeling before the manger, staring at the baby. I felt so humbled and so cared for. God had heard my thoughts, He was reassuring me. It was all His plan, not some terrible mistake. We were meant to be here. He even knew about the manger. I listened and smiled and treasured my thoughts. The shepherds left as noisily as they came. I could hear them in the streets, shouting their news, telling everyone what had happened. They were so excited. They had of course woken the baby who was now crying with a thin wail that jarred my nerves and was impossible to ignore. So I fed him some more and then we both slept. A tired, contented sleep borne from exhaustion and wonder. After eight days, Joseph came and circumcised the baby. How he wailed. It felt cruel, though I knew it was the right thing to do, even in this strange place we must obey the Jewish laws. We also formally gave him the name Yeshua, the name we had been told to give him by the angel all those months ago. I wondered if Joseph minded, people would know it wasn’t a family name. I also had no one called Yeshua in my own family, though I did know a boy from my childhood with the name. After forty days, we had to travel to Jerusalem, to pay for redemption at the temple. As Joseph was from the tribe of Judah, we had to pay five shekels of silver. We couldn’t afford a lamb, so bought two pigeons to sacrifice. It was nice to leave Nazareth and to have some exercise at last, to see people and to take my baby into the world. I felt quite excited as I approached the temple, our holy place. I didn’t recognise anyone, but everyone could see we had a new baby and lots of the women came over to see him. I felt so happy! We walked through the Beautiful Gate and up to the Gate of Nicanor. Then something strange happened. What does that mean? I know that he is God’s own son and that he is part of the plan to establish God’s reign on earth. Will he be opposed? Surely everyone will accept God’s anointed one, we have waited so long for him. Then he said something that made me afraid. His face was very near, I could smell his breath. He said that a sword would pierce my soul. It made me very frightened, I practically snatched Yeshua away from him! I want my son to grow strong and be happy, will I suffer for this? The man left us and almost at once an old lady approached. She was ancient, her white hair showed under her mitpahath and she leant heavily on a stick. What I noticed most were her eyes. They almost sparkled. You could tell at once that she was a holy woman, also one who loved to laugh. As soon as she saw Yeshua she started to pray loudly, thanking God, telling people nearby that if they wanted Jerusalem to be redeemed, they should look to the baby. I was glad that no Romans were allowed in the temple, we would have been in trouble. We finished making the offerings and then went back to Bethlehem. I didn’t know whether to tell Joseph what the old man had told me. I kept thinking about his words, worrying about what they might mean. I was so tired, I decided I would wait and maybe tell him later. It was one evening, still quite early but we had filled the lamp with olive oil and lit the linen wick. Joseph put it on a bushel basket, so the room was well lit and we could talk about the day. Suddenly, there was a banging at the door. Joseph went at once and there, in the road, was a group of Persian travellers. They had dismounted from their horses and were peering intently into the house. They told Joseph they had seen a star and had come to worship the king. I was so glad I hadn’t gone to bed yet. We let them into the house and I went to get Yeshua. He was damp from sleep and his tired eyes looked blearily around him. I wondered if he would cry but he seemed fascinated by our strange visitors. They wore their hair in long curls and one had a band of gold on his head. It glinted in the lamp light and I could see Yeshua watching it intently. Their clothes were patterned with birds and flowers. We offered them wine, it was clear they were tired from their journey. I was embarrassed that we only had two stools to offer them, but they didn’t seem to mind and in fact insisted that I should sit on one with Yeshua and they were happy to sit on the rush mat. They didn’t really sit anyway, they wanted to kneel before Yeshua. They told us their story before they left. In their Persian home, they were magi, watching the stars and foretelling the future. Many months ago, at the time of Yeshua’s birth, they had seen a special star which they knew meant a powerful new king had been born and they determined they would find him and worship him. Unfortunately, following the star caused them to go to Jerusalem first (I always knew that star gazing was a misleading activity.) They went to Herod’s palace and asked where the new king was. This was scary, Herod had shown he was not a king to be trusted and his cruelty was well known. I would not have wanted to visit his palace. However, it sounded as though he had decided to be helpful. He asked the scribes to research the early scriptures and they discovered that the promised king was to be born in Bethlehem. The king told the Easterners and asked them to find the king and then return and tell him the exact location, so that he too could worship. I wondered what would happen next. Would Herod himself come to visit my precious baby or would we be summoned to the palace? This was not a comfortable thought. The men left. They planned to sleep in an inn and return to Jerusalem the next day. We could not offer them lodging in our tiny house and they seemed content to leave now they had seen Yeshua. I returned Yeshua to bed and soon after Joseph and I also went to sleep. I had not been asleep for long when Joseph woke me. He shook me awake, then went to light the lamp. I could see his face was tense and instantly turned to check Yeshua was well. He was sleeping soundly. Joseph told me I needed to get up at once, we needed to leave. He said that he had had a dream, like the dream when the angel told him that the baby inside me was God’s son. It was so intense and real that he could not ignore it. He said he had been told we must leave Israel, Yeshua was in danger, Herod planned to kill him. I wondered why I too had not be warned and then I realised, God had told Joseph to take care of me and Yeshua. That was a hard task for a man, to care for a son that was not his own. So God was now telling Joseph alone what we needed to do, underlining his role, establishing him as head of our family. It was a kind act. I began to pack our things but Joseph was hurrying me, telling me to only take what was essential. We were to go to Egypt. Egypt! Could this be right? Was Yeshua not to be king of the Jews? I packed hurriedly and we left that very night. What would the future hold? Would we ever return to our home town? The future was uncertain but I knew that something bigger than us was happening. Whatever happened, God had a plan and no one could alter the course of that.